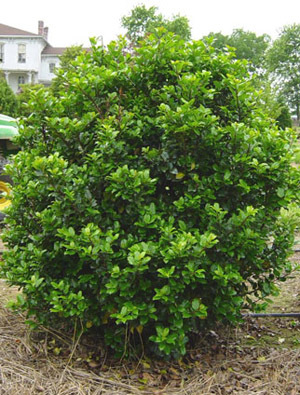 This handsome specimen, background plant or hedge has beautiful dark blue-green foliage on blue-purple stems. Excellent pollenizer for nearby female hollies. Extra hardiness.